Renee Gilmore is the frail and helpless victim of one such powerful man. Having escaped his clutches, she now lives only to satisfy justice by destroying him, regardless of whom she must become in that pursuit.But when Danny and Renee's paths become inexorably entangled things go very, very badly and neither of them may make it out of this hunt alive. The Priest's Graveyard is not Ted Dekker's usual supernatural thriller. Instead, it is more a vigilante psychotic suspense thriller that kept me glued to it's pages for 3 days. I didn't like The Forbidden written by Ted Dekker with Tosca Lee. I was pretty ok with House written by Ted Dekker and Frank Peretti which I read last year. This is one title written by just Dekker himself that I am reading although I have with me another series of his that I haven't read. 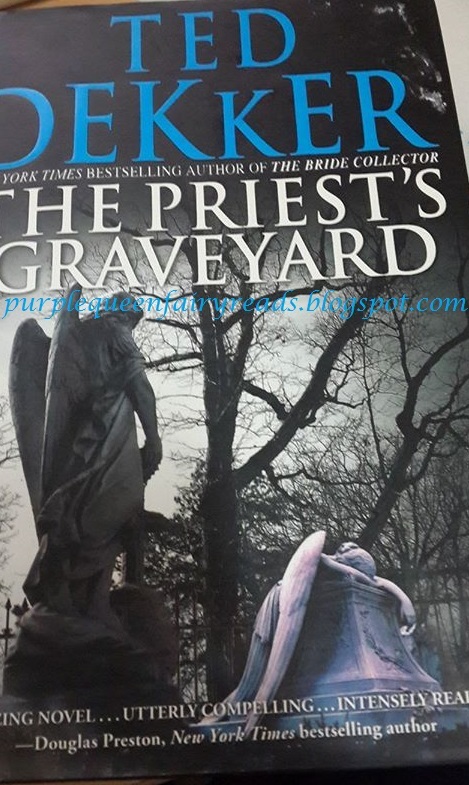 The storyline for The Priest's Graveyard was quite simple. However, the author being a 'superstar' author that he is, is able to really explore human emotions, dimensions and makes you question morality and if one two wrong does make one right. And also how damaged can one person be that they appeared undamaged. Sorry, can't share more without spoilers! However, character wise, I didn't warm up to either Danny or Renee but they seems to warm up to each other pretty fast and pretty well. Overall, it was a wonderful book to start off my holiday.